Puppies born February 24 - see Available Puppies tab. 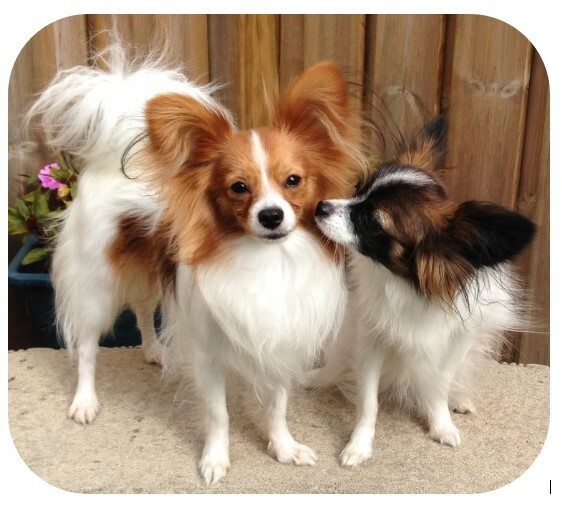 AllEars Papillons is a small hobby 'kennel'. We breed for quality, good character, and the pleasure of having puppies around. Our puppies are raised using proven methods that ensure good potty habits, calm dispositions and good-natured attitudes. Our pups have been placed far and wide, all over Ontario, in the GTA, and as far as Nova Scotia, New Brunswick, Quebec, Boston, California & Minnesota. They have gone to pet homes, agility homes, show homes, and some have even become service/assistance dogs. They all bring support, charm, loyalty and oodles of love to their owners. Contact us to arrange for a visit and/or to be added to our puppy waiting list. Note: going forward we are reducing our numbers, thus available puppies will become quite rare soon.